A few years ago I was talking with a fellow photographer about the color correction of portraits. While on the topic of using white balance cards and color charts in order to get a perfect skin color, he interrupted me and said, “You can't have perfect skin color with these.” I immediately thought to myself, “Oh, yeah?” Oh, yeah. That was the truth, and I will explain why below. I remember my first photographs with a point-and-shoot camera in a room lit by tungsten light bulbs. The resulting pictures were with a dominating yellow color. Someone told me then: “You have to fix your white balance.” That was the first time I heard about such a correction. The white balance is an overall color shift tool in the digital world. You can set it in your camera or in a post-processing software. The proper way of setting a white balance is by using a white balance card and snapping a frame with it filling a big portion of the frame. 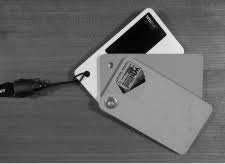 You can use a white sheet of paper if you don't have such a card, and although it will take you in the ballpark, it won't be absolutely correct. If you want to go further in the journey for a perfect color, get a color correction chart. Using such a chart helps you fine-tune the different color hues for your camera and lens combination. Your color will be almost perfect with just a white balance card, but with a color correction chart the photographs will be altered with minute color adjustments, and thus reaching the color-perfect goal. “But in the introduction you said you can't have a perfect skin tone regardless of the perfect color calibration,” you might say. Technically speaking, your color will be perfect in theory after these two steps, but when you look at people's skin in the following photographs, you will find there are color deviations, and sometimes they are quite big. Imagine me, knowing my color was perfectly dialed-in, banging my head, because on my color-calibrated monitor the skin sometimes looks way differently than it was in the real world. 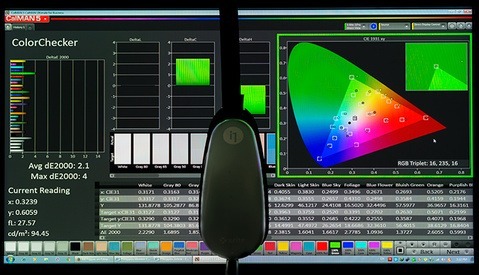 I would calibrate the monitor again, I would create new color profiles, adjust the white balance from the white balance card, but the color would be off. Below is a fresh example from a photoshoot of several people and you can clearly see that skin colors have different hues; some look fine for a Caucasian person, others look either more yellow or too pink. The picture looks creepy, but once you think about the technical side of it, the creepiness goes away. You can see that the white of the eyes looks normal thanks to the white balance card, but skin color in real life for some of those people looked more natural than on the photographs. You may tell me that “It's OK to have different skin hues for each person,” and you will be right. The problem I'm trying to solve here is when the skin on the photograph is very different from the skin color under the environment conditions you saw it with your eyes. In these examples the camera settings are the same, the lighting is the same, the white balance is all set using the white balance card. If you are photographing objects like paintings, fabric, and paper, the chances of having a perfect color are bigger. The reason lies in the type of texture you work with. When you calibrate your colors using a color chart or a white balance card, you are taking a photograph of a surface that doesn't have the layers, glossiness, transparency, texture, and all other properties of the skin. You are photographing a flat colored matte material. 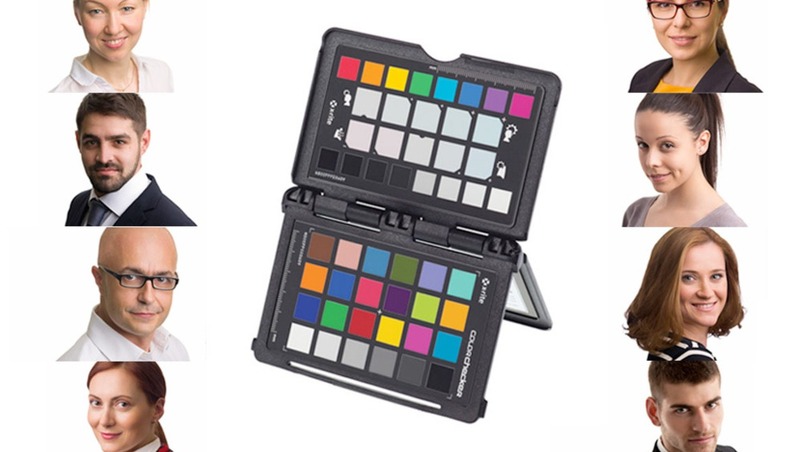 The tools that help you dial the white balance in guarantee that the colors of the flat matte material of the color chart will be white indeed. Nobody promises anything about other surfaces. That's where I got fooled believing the skin color would also be perfect. Skin is a multi-layered thing that has lots of characteristics. If you have worked with 3D or had chance to see how skin texture is artificially designed you will understand some of its complexity. Each skin layer has color, transparency, moisture, elasticity, and texture. These properties are different on different parts of the body, and different for every human being. Skin is a multi-layered complex object that refracts and reflects light in a different way. When you light a multi-layered object like skin, the reflected light changes because of these properties. We are able to see objects because of the reflected light. We perceive colors by the colored light that is reflected from the surfaces. The more the moisture, the more specular highlights and the more contrast the skin will have. Some skin is more transparent and have more of a light red, light yellow, or light brown hue. Some skin reacts in a different way to some light color hues than others. When you light skin with different light sources (hard or soft) and from different directions, it changes the hue because light penetrates the layers from different angles and is reflected in a different way towards the lens. How to Have a Perfect Skin Color Then? Unfortunately you can't automatically have a perfect skin color, but you can have a color that is pleasing to your eye or the eye of those who will receive the photographs. There's no such thing as a “perfect color,” but there is such a thing as “a color that is close enough.” Of course, for artistic purposes you can have whatever color hue you want in the final result. My approach is first to get the color in the ballpark using the white balance card and (sometimes) the color correction chart. 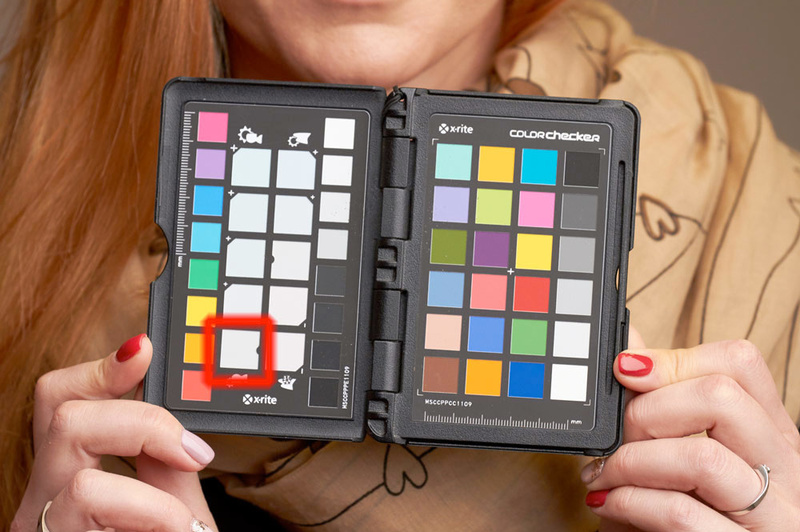 For a white balance and color correction chart I use the Color Checker Passport. Since I switched from Lightroom to Capture One Pro, I can't use the color profiles created by the Color Checker software in Capture One, and I'm only using the white balance card tool. I photograph a picture with the color chart in frame, and for this particular product the white balance card is a square from the grid on the left of the chart. In my post-processing software of choice, I go to the white balance tool and click in the square marked in the picture above. 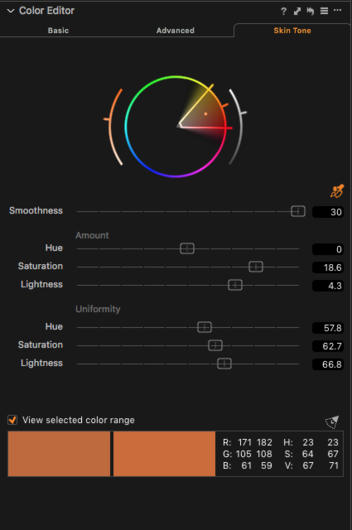 This sets a correct white balance for the colors on the chart, and hopefully it's close enough for the skin of the majority of people you will photograph on the set. If your software supports synchronizing of the white balance setting, you can copy it on all images from your series. Now it's time to judge by eye if there's a significant color shift from the skin color you think is normal, and try to color correct only the hues of the skin color, whether using global or local adjustments tools. I won't talk in details how this is achieved, because there are excellent articles on perfecting the skin tone in post-processing software written by fellow writers at Fstoppers. You can choose to read those that match your current workflow. Know that it's OK to manually tweak skin tones in post even if you have used automated tools for calibrating your color. This should put the lie to those people saying that camera tech is 'bigoted' towards white people. yet strangely, my clients end up being more concerned with how their fabric color is rendered regardless of the skin tone of the model. weird. If the majority of your subjects have "white" skin, then film and sensor design will naturally evolve in the direction of rendering it more and more and more accurately. Don't believe that? Fuji introduced Fujichrome to the US market in 1971. I shot a sample roll (with one of the photos gracing the back cover of my university's yearbook). It was perhaps not surprising that most subjects with pink skin showed a noticeably yellowish cast. As Fuji's chemists and photographers had few, if any, subjects of European extraction, this bias went unnoticed. Japanese loudspeakers had a similar problem 40 years ago. With recordings of Western music, they often revealed residual midrange colorations similar to those of Japanese instruments -- those colorations not being noticeable with recordings of such instruments. By the way, the adjective "Caucasian" refers to Eastern Europeans with (literally) white skin and black hair. The racist anthropologists of the late-19th century chose them as the "standard" to which "whiteness" was held. And then, you'll have some clients who will view your color corrected, chopped and channelled, lowered and louvered images on their crappy as possible, totally uncalibrated computer monitors, the ones that their companies bought by the truckload...and you'll sigh, knowing you did your best anyway. The truth is that even if a monitor is not calibrated, the eyes got used to the color shift and percieve the colors in a "correct way." I find that, for video content, certain players and browsers are bigger issues when distributing. Vimeo does not see color the same way YouTube does, and sometimes I'll need to account for that with an adjustment layer. Scary stuff! Trick is to encode as xH.264 rather than the usual H.264 because it embeds colour and gamma information. Much as we embed photo files with sRGB for web use. It seems to be a little known varient of the codec, takes a little extra time to set up but makes a difference. 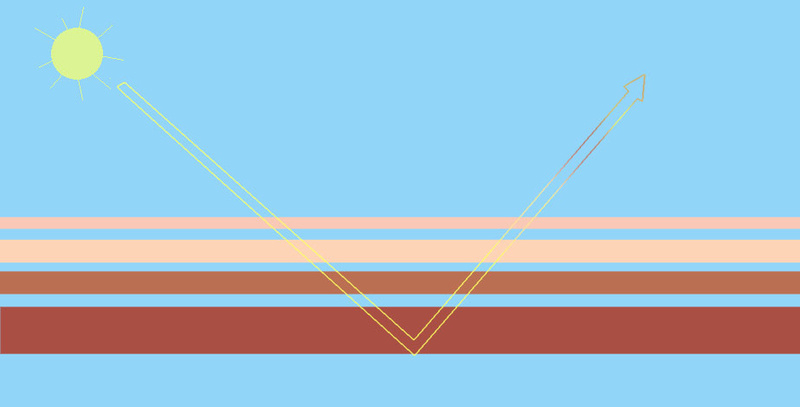 I doscovered it when trying to combat Apple's Quicktime Player's varied results when playing back material. Did you actually test that by comparing uploads of the same video on YT and Vimeo ? Because as far as I remember, there was a time I used to worry about those gamma and colors (especially reds) not being strictly identical between platforms, and since I didn't find a "proper" solution (coding to x264 didn't do the trick at the time), I just compromised on a middle ground I could live with and that's it. I never tested again and just export using the default codecs. There are some complicated (OK, 10 minutes of work) ways to use ColorChecker profile in Capture One through Lightroom. I don't know about them. Adjusting skin tone colour and uniformity in Capture One is a relatively easy task, they even have a tool specifically for this very issue. Alexander was talking about using ColorChecker DNG profiles (which is an Adobe proprietary format) in Capture One. Your method is the standard thing that can be done in Capture One and it's helpful for the readers but doesn't relate to what Alexander mentioned. Sorry for the confusion, I was not replying to Alexander, simply pointing out the Skin Tone tab is C1, as that seems to be the obvious solution to this "problem". ColourChecker "profiles" would not be the tool I would choose to overcome skin colour variation, it is far too blunt an instrument. As you state, every person is different, and even lighting situation is different. Do you really want to be creating a profile for every person and every set up? Besides, C1 fully supports ICC profiles, so if you really wanted to, you could go that route and create profiles that way. I find that the Skin Tone tab in conjunction with C1's excellent selection tools deals with this much more subtly. When I worked with Lightroom I created color profiles for every lighting scenario. Despite that the skin needed extra tweaking, as I stated in the article, although I didn't notice the need of that the first few years working with a color chart, because I thought "it should be perfect." "When I worked with Lightroom I created color profiles for every lighting scenario. Despite that the skin needed extra tweaking"
This is my point exactly. Profiles are a base starting point. They are like a more advanced grey card shot. If you want correct white balance, you shoot a grey card for post. If you want "accurate" colour, (and yes I know it is not perfect) shoot a colour chart and make a profile. (There are a range of options available, form as you say "very expensive" right down to free, features and ease of use vary accordingly). If you want pleasing skin tones, Tweak individually. That was my point, that using profiles to solve this issue is not the answer. 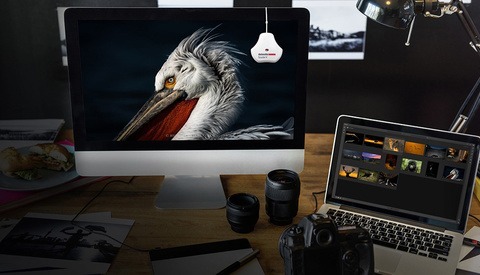 You should be shooting a grey card for white balance, and if it matters to you, or your clients, shooting a colour checker as well and perhaps creating a profile if correction is warranted. You will not achieve the type of skin tone "accuracy" you allude to with a profile. There are only two remotely skin coloured patches on a colour checker, hardly a good enough sample to work from when trying to capture the subtlety of human variation. By highlighting the Skin Tone tool that is in C1, I was trying to point out that fact, and that since you said you use C1 I thought you might appreciate it. It is designed to solve your exact concern with skin tones. The only thing I'd correct is that white balance is shot with a white card, while a grey card is for exposure. I was using "grey card" as a generic term. I use one of these. Hi Tihomir, check this http://www.lumariver.com/ ... it is really great tool for camera profiles. You have many options to tune it. I was looking for something like this when switched to LR from C1 :-) Sometimes it can help. Thanks. I hope other readers would appreciate that too. Welcome :-) I was also using xRite Colorchecker with LR and tried also more softwares to make camera profiles and there were bigger differences. xRite LR plugin made shadows too saturated. Adobe Profile Editor made it better. Lumariver was the best for me. From what I remembered, That i1 software required buying some i1 calibration hardware (and a chart of theirs of course). Knowing that I won't have perfect skin tone (and I work with people most of the time), I will stick to the thing I already have although I use just the neutral white balance patch nowadays. Can’t follow this because color of skin is related to the light on the skin, this light introduces variables . Light, med and dark tone skin can’t all be correct in a single image you must choose on. Sometimes removing some of the Blue will render a very close match, although shooting my Hasselblad really doesn’t need correction for skin or should I say rarely. Worst contamination is green from the grass below I always try to block that out with a reflector below. As I showed in the example above, all subjects were with light skin and I had to color correct some of them in post, because their skin looked more yellow or more orange than it looked on set. When having medium and dark skin tones the differences can be way bigger.